This past Thursday I talked to Alice Adreini. She is getting a MFA in contemporary drawing and painting. She’s been attending CSULB for 3 semesters. She has a theatre background and has been painting for 5 years. She’s from Minnesota and is currently living in Long Beach. Her three paintings are about space and gardens. The two large paintings took her a couple weeks to finish and the small painting was a couple months. She used oil paint. The soldiers in her painting add a different dynamic. It also adds a destructive element or a protecting element. Alice also said that she wanted to add a conflicted element. The soldiers are a reminder that there is conflict and space is threatened by conflict. Alice wants the audience to feel wrapped up in a a garden space and feel sublime. Alice Adreini’s painting was inspired by her mother because she likes gardening. Her mother would find toy soldiers in the dirt. This is what inspired Alice to add soldiers to her painting. 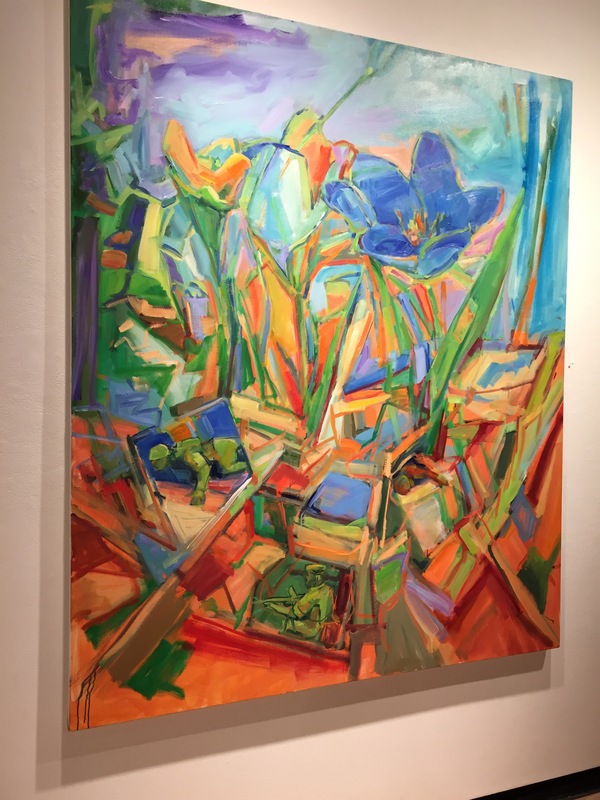 Alice Adreini’s paintings were bright and colorful. I like that there were soldiers in her painting, it reminded me of the movie called Toy Story. The painting with the blue flower is my favorite. It kind of has this 3D look. It looks like the soldiers are protecting the flowers. 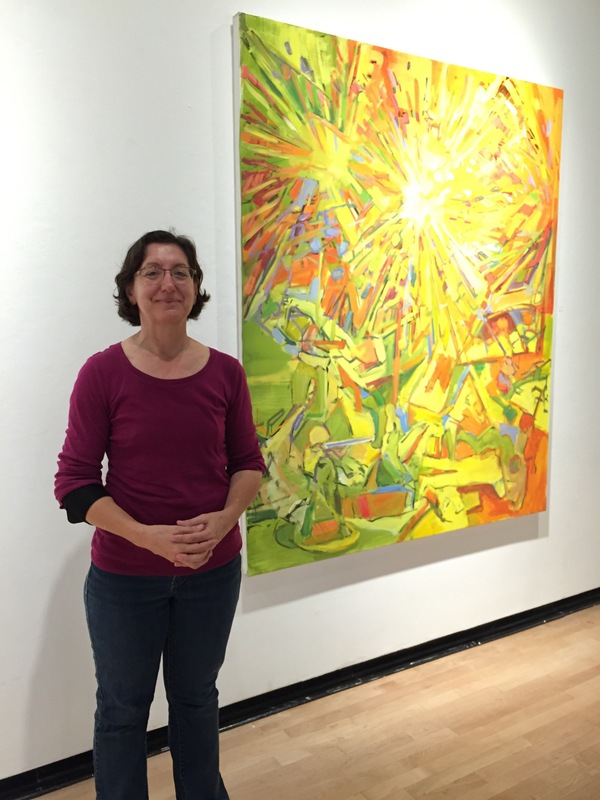 Here is a picture of Alice Adreini and her paintings. Glenn Zucman on Hello world!